Course Level: A1 & A2 Basic level instruction. You can take this course in the form of a One-to-One Private course. If you wish, it is also possible to get these lessons in groups of 2 people. 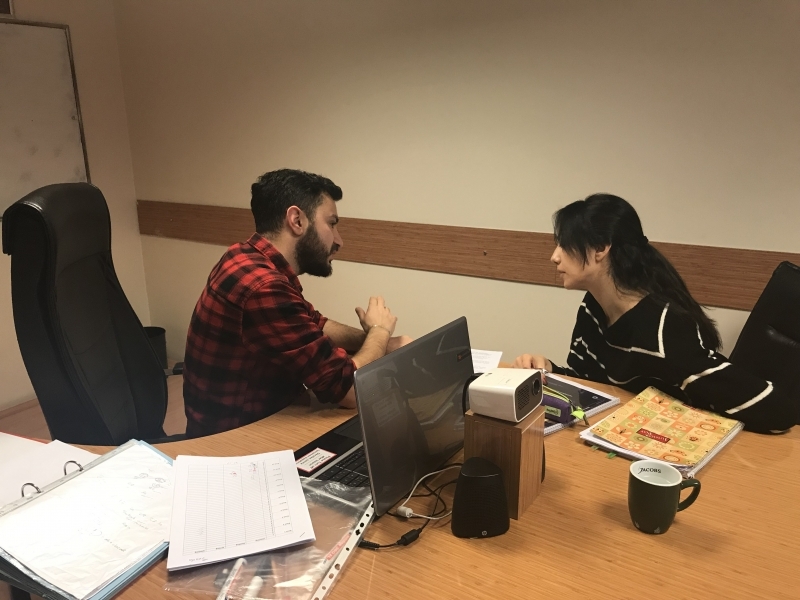 The trainings are given in classroom environment in Ankara in Turkey and ONLINE Live Lessons all over the world. WHAT IS FAMILY UNION (Familienzusammenführung) AND FAMILY VISA? Family Unification is not a single process, but rather a process that takes place from a series of processes. If at least one of the family members is in another country and the other family member or the individual wishes to live in this country with the relative person, the process of family reunification begins. The fundamental reforms concerning residency law oblige the foreigner who wants to settle in Germany to prove that she / he has a basic level of German knowledge in his own country while seeking a visa. With this arrangement, it is aimed to ensure that those who will come to Germany, at least in a simple way, can communicate in German and participate in social life. The person who comes to his / her partner in Germany should prove at the time of visa application that he / she can at least communicate at a simple level in German. The level of German knowledge at a simple level is the A1 level of the "Common European Reference Frame for Language Learners" developed by the Council of Europe. Because the aim is to facilitate the daily life in Germany, the exam measures the ability to communicate in particular. The presentation of the German certificate does not imply a direct proof of the necessary knowledge of the German language within the visa application process. The final decision regarding the visa requirements will again be given by the "Visa Section". In doubtful circumstances, a reassessment might be required in respect of the authenticity of the applicant's German language knowledge and the fact that his German knowledge is reasonable and up-to-date. This is why it is very important to attend classes and do homework. 1) Speaking Skills: The ability to meet our everyday needs, to introduce themselves, to practice everyday German patterns, to ask questions and to answer questions is measured. 2) Comprehension: Small reading texts focus on understanding the content, responding to questions about the subject, and questions about textual meaning. 3) Writing Skills: You are asked to write a letter or mail on a topic. When writing, attention is paid to the basic level of patterns, times and sentence structure. 4) Understanding Listening: Understanding and understanding the everyday natural life text is conducted. * All of the courses are taught by a professional German teacher. * Original course materials are used. * Our program is based on a student-centered approach. * Additional activities (conversation, word classes, etc.) are presented. * Learning is facilitated by drawing attention to similar aspects of German and Turkish. * The latest technology is used in our lessons.